Put old fan blades to good use by making a chalkboard message board! It’s simple to make and functional for just about anywhere in the house. It’s also great for an office space to write down friendly reminders. If the ceiling blade is rough or overly dirty, lightly sand the surface with sandpaper. Buy chalkboard paint at your local craft store. Paint the blade with a few coats and sit to dry for a couple of hours. Once the blade is dry, attach a ribbon of your choice. Tie a bow at the top and attach it to the wall with a hook. Decorate or write any messages with a piece of chalk or chalk marker. There’s many other creative ways to re-purpose fan blades! Here are some other fun ideas that will make your home look great. 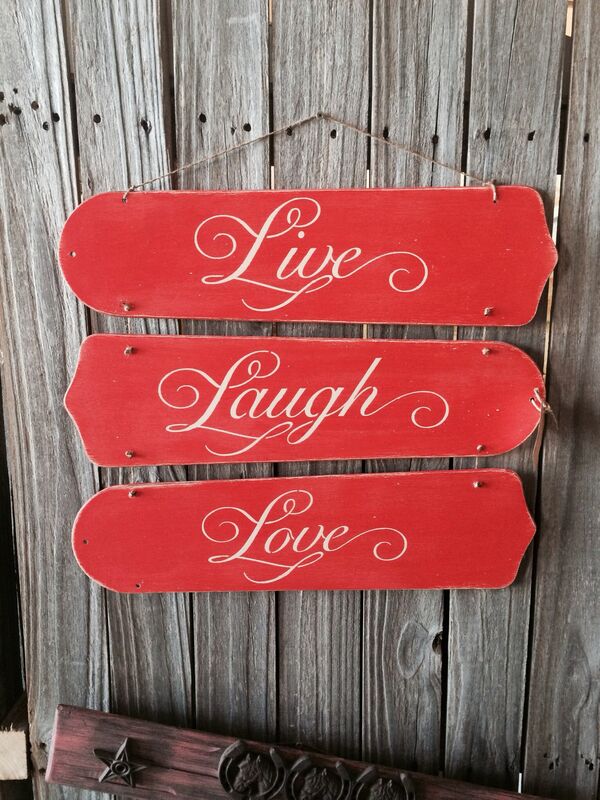 This sign consists of three fan blades, each attached with heavy duty yarn and painted a bright red. To achieve the neat cursive words, use a stencil and paint it on. These dragonflies will liven up any bland fence. The wings are made out of ceiling fan blades, and the body is made out of table/furniture legs and spindles. This craft is more advanced, but the finished product will be worth it! Old ceiling fan blades are also great for showcasing a mural. Whether you paint it yourself or hire someone to paint a picture you love, it’s creative and will fit just about anywhere! For more information about Aire Serv, or other tips and tricks to recycle heating or cooling parts, contact us today!